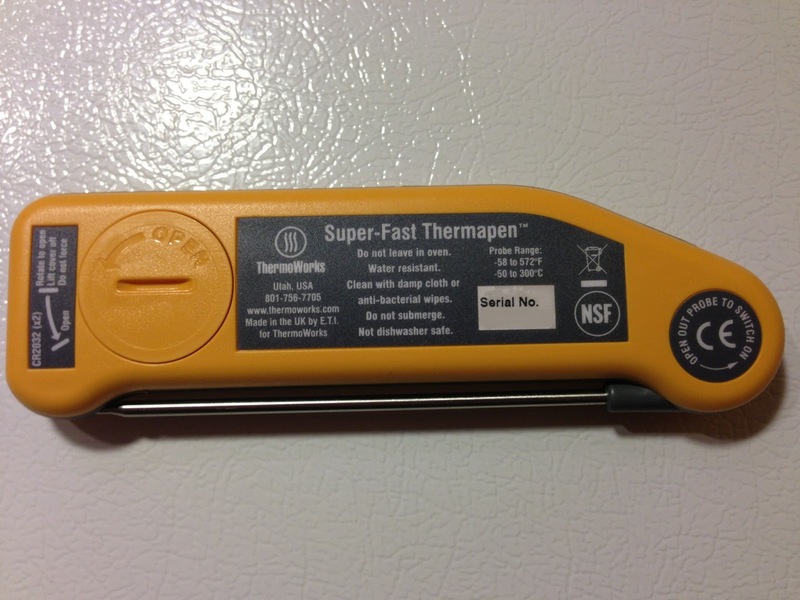 Here’s a hands on review of ThermoWork’s Classic Thermapen Thermometer including response time and accuracy tests. Back of the package. Note: Identifying numbers including serial numbers and UKAS Certificate number have been blanked out in several of these photos, including this one. 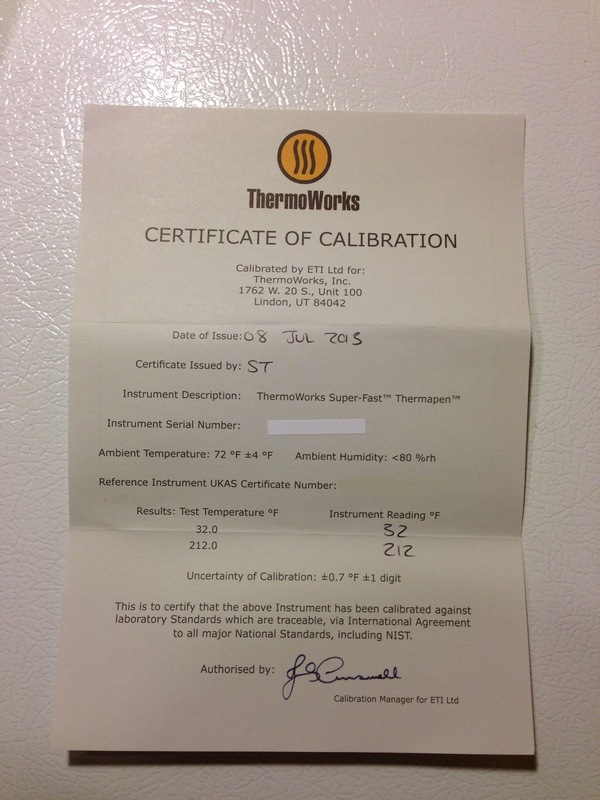 The NIST Traceable Certificate of Calibration. Unfolded. This automatically turns on and off as the probe is unfolded and folded back in. I was a bit surprised by how large this is. I think that’s a good thing. The larger body size makes it easy to hold on to. It also feels solid and well made. For size comparison. Folded next to the CDN DTQ450X. I used my Lifeline 7500 Stainless Growler – Review – to create a consistent ice bath. Hey, guess what. It reads exactly 32 degrees. 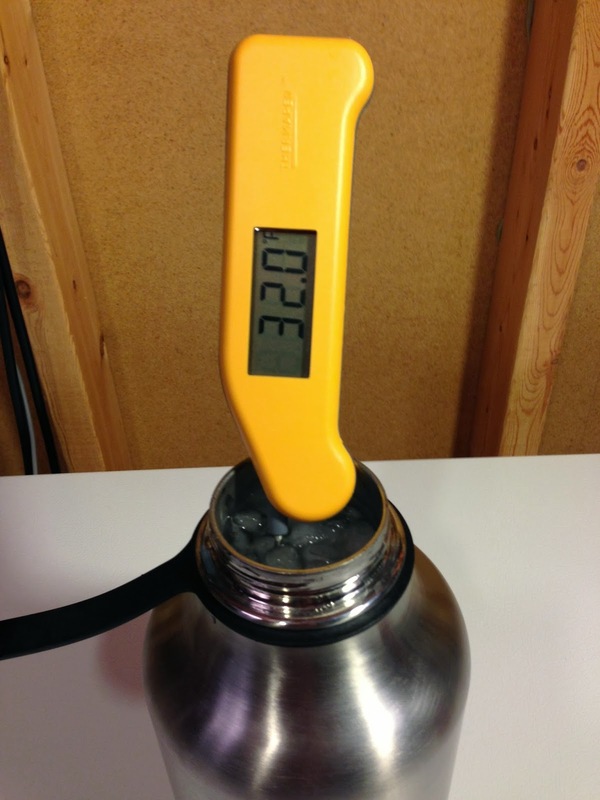 The Thermapen measuring boiling water. It reads 211.8. The boiling point of water varies based on elevation/barometric pressure and mineral content of the water. On two separate days, I’ve gotten two consistent and different readings for the boiling point of water. The last time I tested, it was consistently 211.4 deg F. The day this picture was taken with the water I was using, the boiling point of water was consistently 211.8 deg F. Although I’m sure you could figure out what the boiling point of water should be at any one point in time based on atmospheric conditions, it’s really… a moving target. Ice water is a much more consistent temperature. The good news for calibrating thermometers at boiling temperature is that, for homebrewers, a variance of .4 to .6 isn’t usually a big deal. 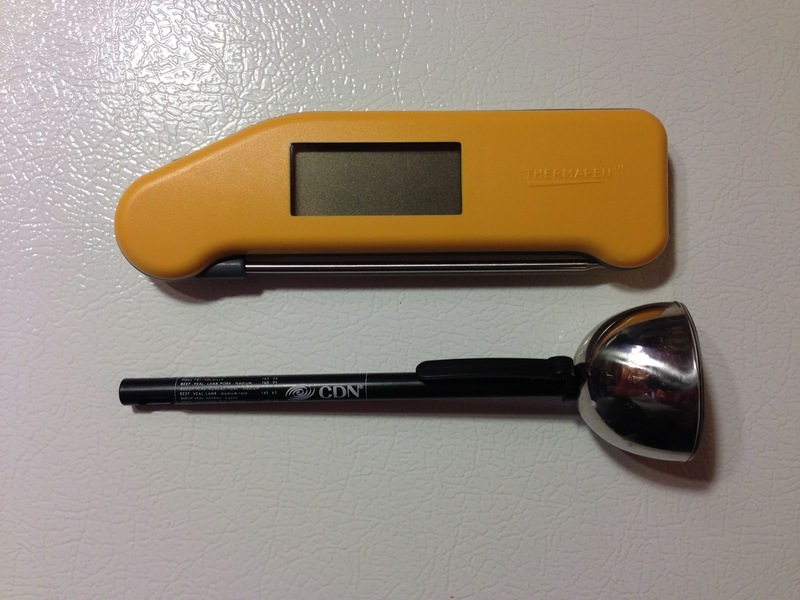 How do you know that your highly accurate Thermapen (+- .7 deg F) with NIST Traceable Calibration is really accurate? You use a even more accurate Reference Thermapen (+- .07 deg F) that is calibrated to 5 points and reads to the nearest 1/100th of a degree. 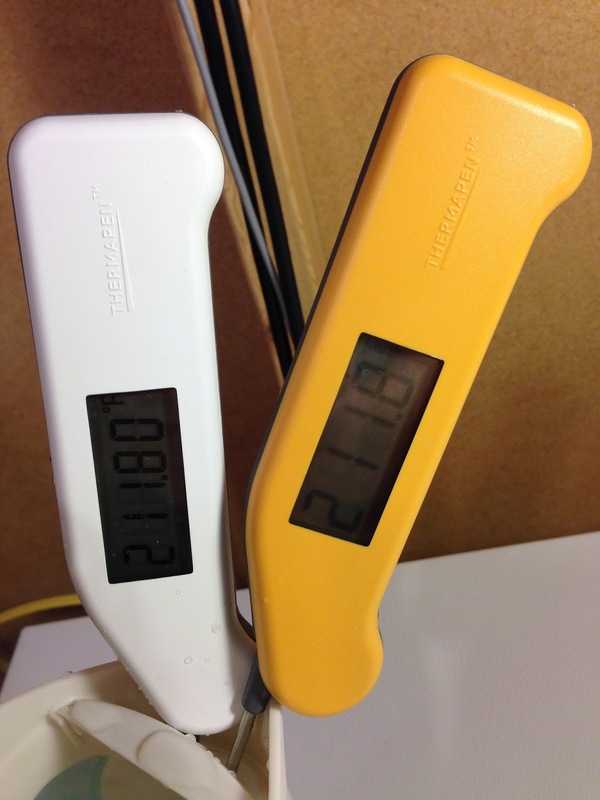 This shows the Thermapen next to the Reference Thermapen, reading the same temperature. 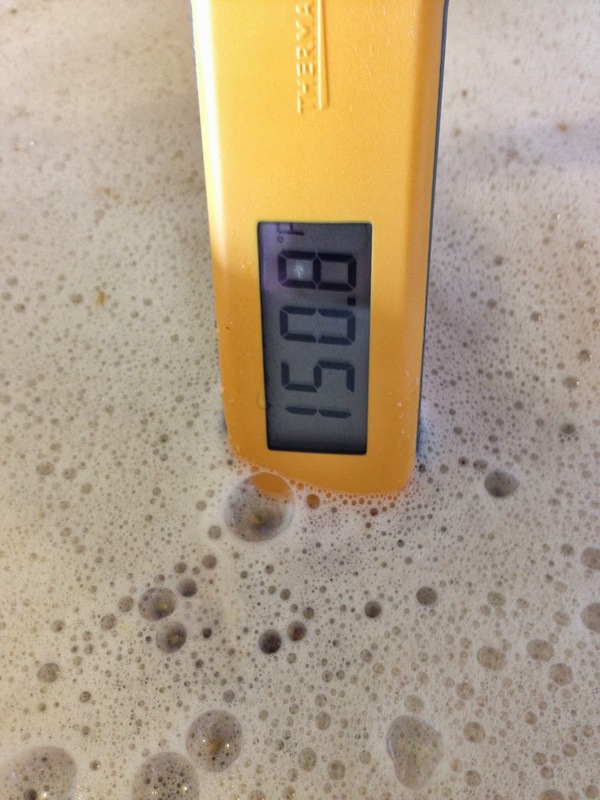 By the way… I wouldn’t recommend using a Reference Thermapen on brew day. What you gain in accuracy, you give up in response time. It’s about 20 seconds, which is great for 5 point accuracy, but an unneeded trade off for most brewing applications. The Reference model is good for double checking and calibrating other thermometers. 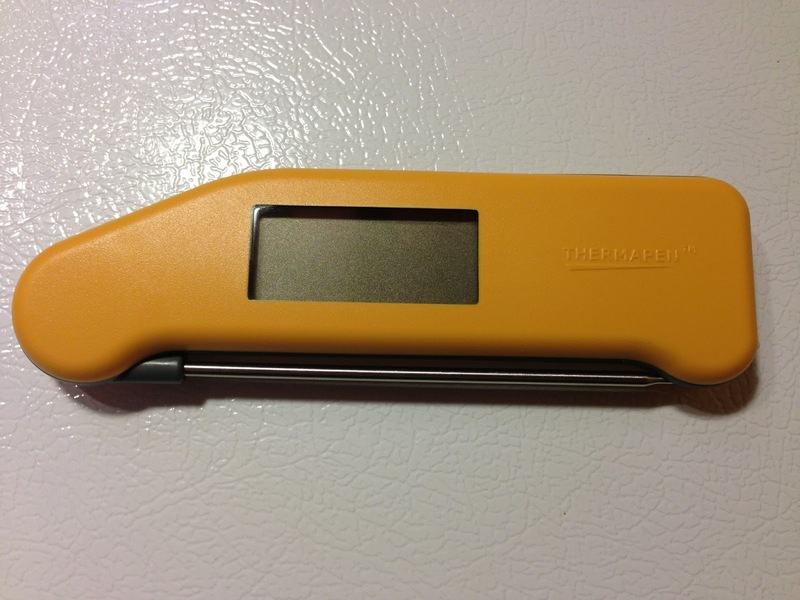 Test 1 – This video shows a response time test using the Thermapen. I tried to do this with water that was around mash temperature. I’m counting the start of the test as right when the metal basket hits the water. 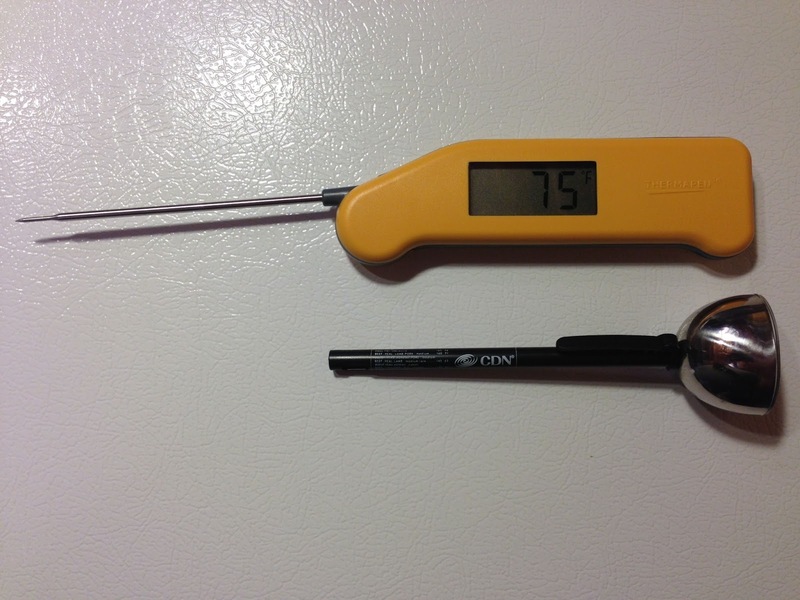 The probe of the Thermapen is submerged at 3.42 seconds into the video. It levels out at 149 deg F at 4.98 seconds. That’s a response time of… 1.56 seconds. That’s crazy. It’s like this thing knows what you’re going to put it into and uses xray vision to start testing as it’s traveling. 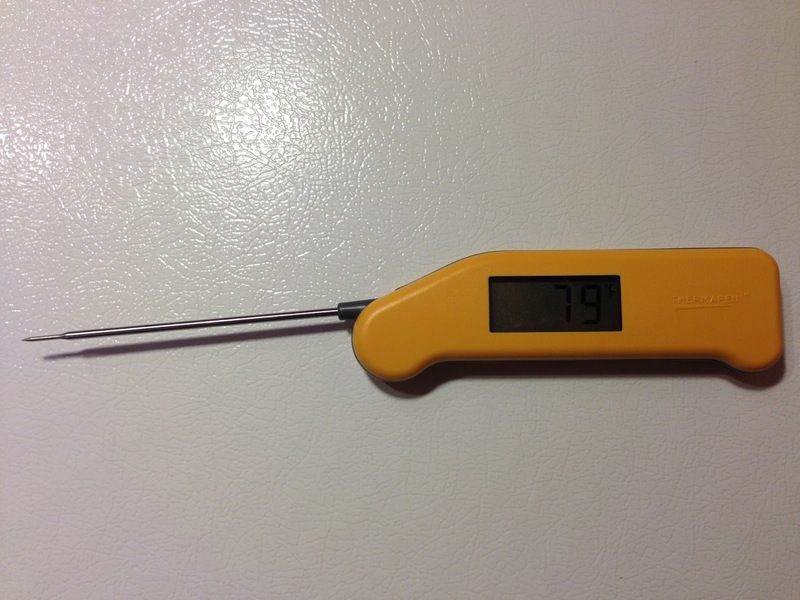 Test 2 – By default, the Thermapen displays whole degrees. I changed that setting to tenths and did another response time test. 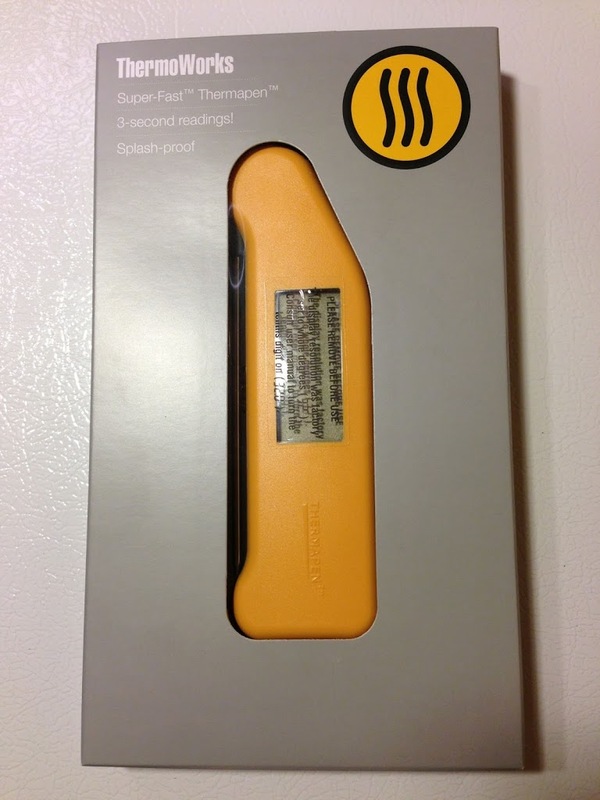 The Thermapen is submerged at 1.06 seconds. It levels out at 130.4 deg F at 6.46 seconds. That’s a response time of 5.4 seconds. It’s not quite as eerie as the whole degree test, but it’s still an excellent response time. 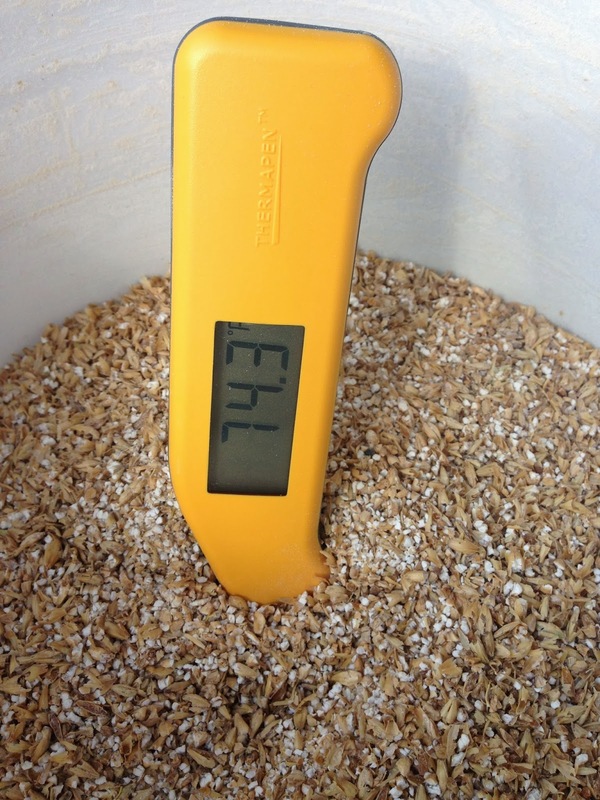 Here is the Thermapen checking the temperature on the grain bill for More Beer’s Citra Pale Ale Kit. Checking mash temp. My mash for this beer came in a little low, I was aiming for 152 deg F.
Because of my work on Homebrew Finds, I own a lot of thermometers. A lot. Overall, this is one of the nicest brewing thermometers I own. It is extremely well built, has an amazing response time and it is spot on accurate. 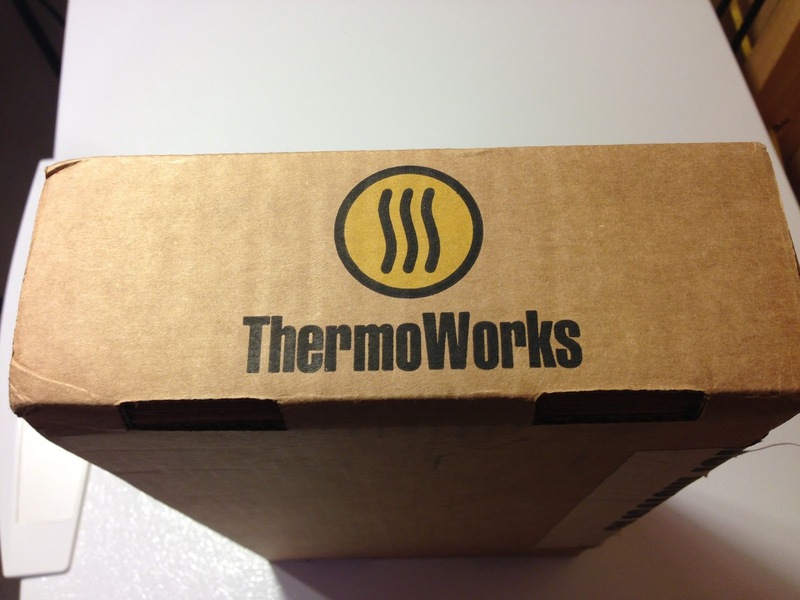 After years of use and hearing from readers, I can also tell you that Thermoworks offers outstanding support. 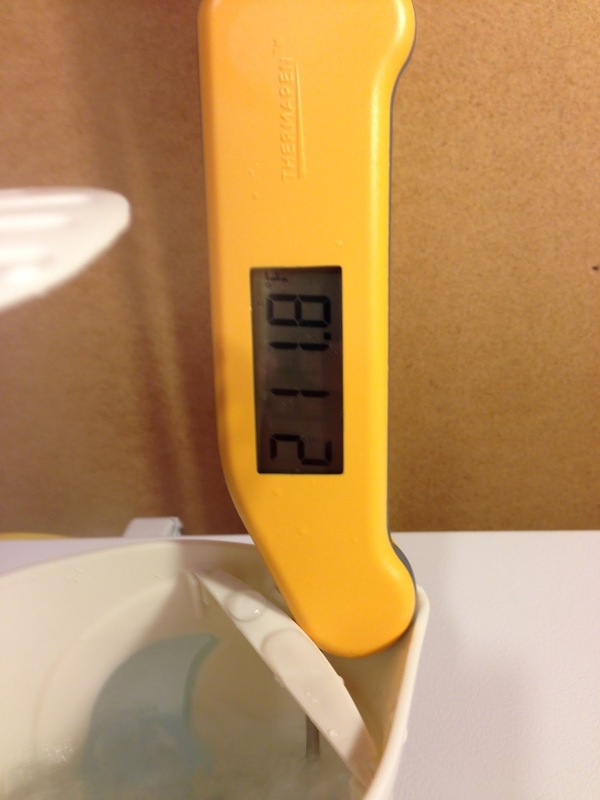 This is a great brewing thermometer that I’ve used for years and years and can wholeheartedly recommend it to you. 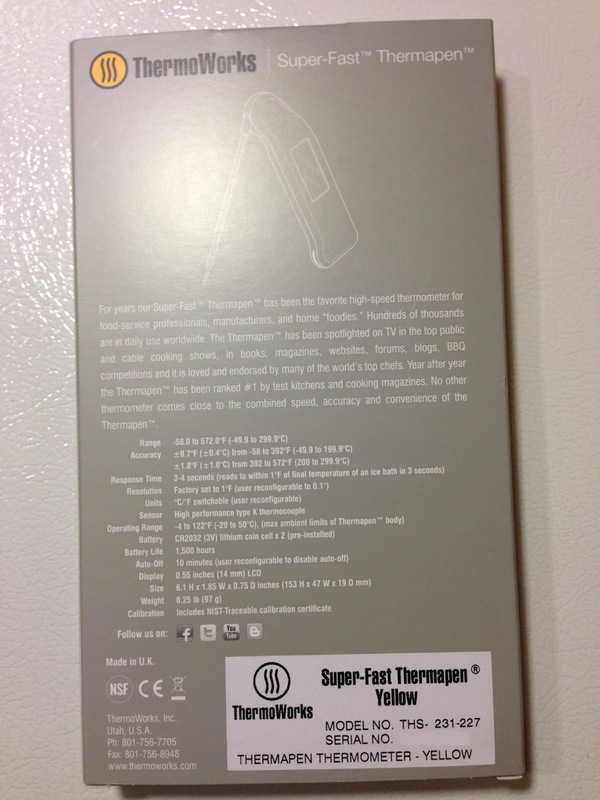 This entry was posted in Featured Reviews, HBF Tested, Reviews, Reviews & Top Posts, Thermometers, ThermoWorks on July 30, 2013 by admin.